I found these in Holland and Barratt. 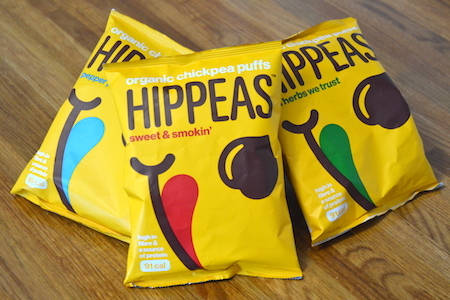 A vegan snack made from chickpeas. “In Herbs we Trust” has a strong, sweet oregano, rosemary and thyme flavour. 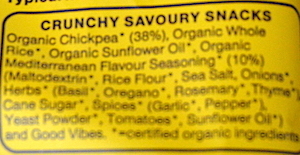 “Pepper Power” is the least complex flavour of the three, delivering on salt and pepper. “Sweet & Smokin” has the familiar flavour of sweet smoked paprika. The flavours were all quite salty and I found I had to have a drink of water with them. 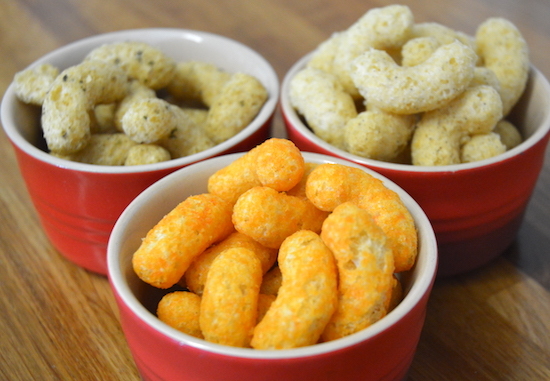 A different and interesting snack, but not something I would rush out for again. Quite expensive at £1.19 a pack. 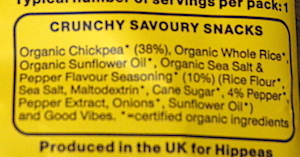 Suitable for vegans and 91kcal per bag. gluten free and no trans fats.